How your team works together determines your success. Today's teams have to do more with fewer resources, they have to be nimble and flexible. As leaders of those teams - how do you affect performance to stay on par, keep employees engaged and aligned with the company vision? Research shows that the most successful teams have the resources and skills to make decisions and take action. Effective teams build relationships to motivate and sustain that action. Sustained effective results require a high level of positive engagement and ways to neutralize negativity. Organizations need a system to help leaders lead and get performance out of their teams. Here at Collective Leadership we understand that the team must be coached as its own entity and have a program that can be customized to fit your needs. We develop the individual but focus on the whole team as a system and the inter-relationships among the team members - there is more to team systems coaching than coaching individuals to be better team members. We are certified Team Coaches with leading edge assessment tools and a proven system to help teams improve the fourteen factors that make them effective, resilient and successfully form and perform. Map where you are and where you want to go. The Team Diagnostic™ model clearly defines the necessary strengths needed for your team to consistently produce maximum results. What sets apart high-performance teams is their degree of commitment; particularly how deeply committed the members are to one another. A team is not simply a machine with replaceable parts: it is a living, dynamic system with spoken and unspoken rules, vision, blind spots, expectations and moods. Team culture infects and influences the individual members and plays a significant role in how the team works together and what it can produce. 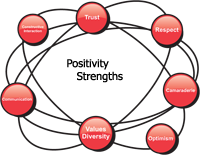 The Team Diagnostic™ model incorporates seven factors that optimize productivity and seven factors that promote positivity. These fourteen factors are derived from solid empirical research in Emotional Intelligence, Positive Psychology, Systems Theory and Appreciative Inquiry. Initial Assessment: Team members are identified by you. 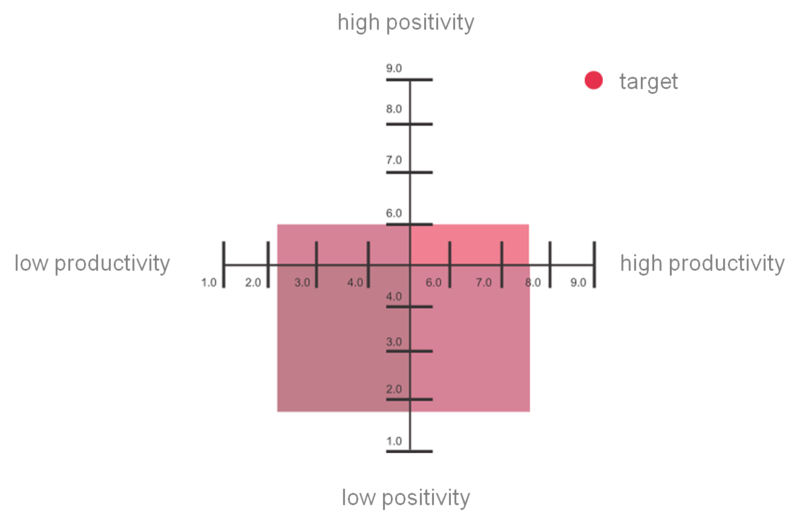 All team members complete the online assessment as a means of benchmarking positivity and productivity. The assessment can also be customized to address your team’s specific requirements. Off-site Retreat: Certified Executive Coaches meet with the team as an entity for an off-site retreat to share the results of the Team Diagnostic™. Team Coaching: We provide on-going support via team coaching meetings to build upon team strengths and address improved overall performance. 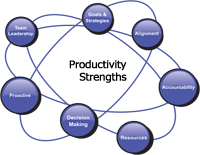 This team process maintains focus, sustains momentum and ensures accountability. Team coaching meetings are done in-person or by teleconference. Measurement: Re-assess and measure progress as a way to refine on-going team work and development.